Marty followed up the excellent When The Sand Runs Out with a gospel record, What I Came Here To Do, and then 2009 saw the release of This, That & The Other, a generous 14-track collection which he recorded with his live band, Full Circle. While it is predominantly bluegrass, it draws also from his country and Christian influences. It was self-released, and initially only available at a high price from Marty’s website, which meant it got limited attention at the time. Marty didn’t write any of the songs, and a number of them are familiar, but the arrangements and vocals give them an individuality which is worth hearing. He opens the set with a nice bluegrass cover of Joe Diffie’s exuberant ‘Leavin’ On The Next thing Smokin’’. At the other end of the album is a similar arrangement on ‘Any Ol’ Stretch Of Blacktop’, which was an early Collin Raye album track. Shenandoah also did a version as a bonus track on their first Greatest Hits collection, but it was never a single. The much-recorded Dickey Lee/Allen Reynolds song ‘Everybody’s Reaching (Out For Someone)’ is prettily done with a sincerely delivered vocal, and it works well in a bluegrass context. Perhaps the most unexpected cover is the rapid-paced and tongue-in-cheek Bobby Braddock-penned George Jones hit ‘Nothing Ever Hurt Me (Half As Bad As Hurting You)’. While Marty doesn’t sound as on-the-edge as Jones, who recorded it in his days of alcohol abuse, his performance is still very entertaining. The light but bright ‘Ain’t Love A Lot Like That’ was also previously cut by Jones. His love of bluegrass gospel wasn’t forgotten here. ‘I Cast My Bread Upon The Water’ is a pleasant mid-paced song, but more memorable is the impressive acappella performance of ‘Didn’t It Rain, Rain, Children’. On a similar theme, but handled more dramatically, ‘The Devil’s Ol’ Workshop’ is a great story song about succumbing to temptation and ending up with disaster, written by Larry Cordle and Larry Shell. Red Lane’s ‘Blackjack County Chain’ (recorded in the past by Waylon Jennings and Willie Nelson, and also by bluegrass legend Del McCoury) offers another dark story song, about a man trapped into a chain gang by a dirty sheriff, and taking a bloody revenge. ‘The Immigrant Song’ (written by Billy Lawson) is a feelgood story song about a first generation American who marries a Cherokee girl and becomes the narrator’s great-great-grandfather, it has a Celtic feel reflecting its protagonist’s Scottish roots. On a picky note: Ellis Island, mentioned in the opening lines, only opened in 1892, which seems a bit late for the other clues in the song, but the song really works emotionally. Marty goes Cajun with the lively ‘Luzianna Man’; the lyrics are predictable but the arrangement infectious. The up-tempo ‘Timber (Stand Back And Watch It Fall)’ is pleasant with a nice arrangement and great vocals but not very memorable. ‘You Get Me’ is a contemporary country love song written by Wendell Mobley and Neil Thrasher; it isn’t a great song, but Marty’s intensely soulful vocal lifts it to a higher plane. This may be Marty Raybon’s most overlooked album, but it is very good indeed, with a lot of variety, and excellent vocals throughout. I recommend it to all fans of the singer’s voice. He has since gone on to release a number of fine albums, and is currently signed to Rural Rhythm Records. 1990’s Extra Mile was the first Shenandoah album I ever bought. 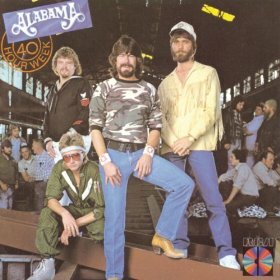 The band was on a hot streak after racking up three #1 hits the year before, followed by the #6 hit “See If I Care.” Extra Mile’s lead single, the Robert Ellis Orall and Curtis Wright two-stepper “Next To You, Next To Me” quickly became the band’s fourth chart topper. It is my favorite Shenandoah recording and it sounds as good as today as it did when it was first released nearly a quarter century ago. Unfortunately, the rest of the album , for the most part,hasn’t aged as well. Every recording is a product of the era in which it was made and that is part of the charm of listening to vintage music. I don’t mind soaring string sections or Nashville Sound choruses, and even some of the heavy-handed Urban Cowboy records of the early 1980s. I have, however, developed a profound dislike of keyboard synthesizers, which were considered very cutting edge in 1990 but sound horribly dated today. In listening to Extra Mile for the first time in a very long time, I found the synthesizers to be a distraction that mar an otherwise very solid album. It’s first apparent on Hugh Prestwood’s “Ghost In This House” — a beautiful ballad that peaked at #5 when it was released as the album’s second single — and continues to mar ballads such as “When You Were Mine” and it is particularly intrusive on “The Moon Over Georgia”, an otherwise excellent record that reached #9. The aforementioned “When You Were Mine” stalled #38, becoming the album’s only single not to reach the Top 10. “I Got You”, written by Robert Byrne, Teddy Gentry and Greg Fowler, was also released as a single between “Ghost In This House” and “Moon Over Georgia.” It’s another one of my favorite Shenandoah recordings. It peaked at #7. Production missteps aside, the material on Extra Mile is quite good, and Marty Raybon’s vocals are stellar throughout. 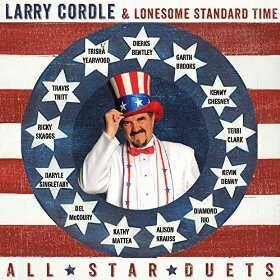 The songwriting credits alone are impressive with names such as Lionel Cartwright (“She’s A Natural”), Larry Cordle and Larry Shell (“Puttin’ New Roots Down”) and Rory Michael Burke and Mike Reid (“She Makes The Coming Home Worth The Being Gone”) all appearing alongside the aforementioned Robert Ellis Orrall, Curtis Wright and Hugh Prestwood. 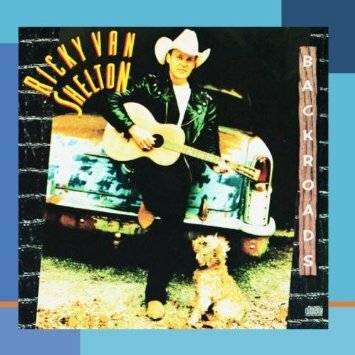 The album closes with the sentimental “Daddy’s Little Man” in which a father fears that he cannot live up to the hero image that his young son has of him. Like The Road Not Taken, Extra Mile earned gold certification. Unfortunately, shortly after the album’s release the band was sued by several other bands that claimed to have rights to the Shenandoah name. Although Shenandoah prevailed in court, it was forced to file for Chapter 11 bankruptcy protection and one of the consequences of that action was the termination of the band’s contract with Columbia Records. Although the band later resurfaced on RCA, the legal turmoils did affect their commercial momentum. Shenandoah’s albums are not always easy to come by nowadays, but as one of their better selling efforts, Extra Mile is the exception. Cheap used copies are available as well as a reasonably priced import version which contains The Road Not Taken and Extra Mile on the same disc. Loretta’s first solo album in a decade was recorded in 1998 and released two years later released on the independent Audium label. Her voice was, sadly, not quite what it had been, but the songs are stronger than they had been on her last MCA album and the production from Randy Scruggs is exemplary throughout. 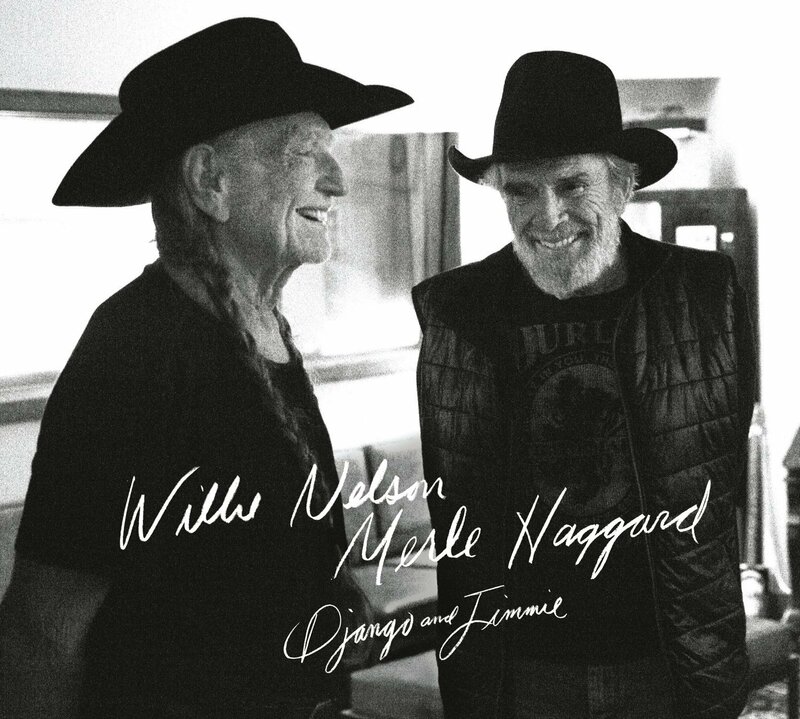 The heart-wrenching piano-led opening track ‘On My Own Again’ sounds as though it must be autobiographical addressing Loretta’ own experience of widowhood following Doolittle’s death in 1996, but it was actually written by Randy Scruggs, who produced the album. The woman in this song, unlike Loretta, is childless, but in other respects this must have felt very close to home. It is definitely a highlight, filled with intense emotion. By all accounts, including Loretta’s own in her two unflinchingly honest autobiographies, he was a bad husband in many respects – constantly unfaithful and an alcoholic, but her love for him is undeniable. I enjoyed the sprightly cover of John Prine’s charmingly optimistic ‘Somewhere Someone’s Falling In Love’, with its almost-Caribbean rhythms, and the closing track, a version of ‘The Blues Ain’t Workin’ On Me’, previously recorded by Rhonda Vincent on her underrated 1996 release Trouble Free. ‘Don’t Open That Door’, written by Jerry Salley, Coley McCabe and Robin Lee Bruce, is a great song about struggling to resist the temptation to get involved again with a bad-news ex, but Loretta’s voice sounds strained on the sustained notes in the chorus. The least successful track is ‘Working Girl’, a Matraca Berg/Randy Scruggs song with Matraca and Carolyn Dawn Johnson on backing vocals, a disastrous attempt at sounding contemporary. It just doesn’t work, with Loretta sounding very strained vocally, and is actually painful to listen to. It was covered more successfully a few years later by Terri Clark. Loretta had been out of the limelight for some years, due in part to Doolittle’s illness, and this record was largely ignored. Unfortunately, despite the high quality of the material, it is a little disappointing, revealing Loretta had passed her best vocally. I’ve mentioned before that I always enjoy hearing songwriters’ own interpretations of songs which they have written for other artists. The latest example comes from Kim Williams, a name you should recognize if you pay attention to the songwriting credits. Kim has been responsible for no fewer than 16 number 1 hits, and many more hit singles and album tracks over the past 20 years. Now he has released an album containing his versions of many of his big hits, together with some less familiar material. The album is sub-titled Country Hits Bluegrass Style, although the overall feel of the record is more acoustic country with bluegrass instrumentation provided by some of the best bluegrass musicians around: Tim Stafford (who produces the set) on guitar, Ron Stewart on fiddle and banjo, Adam Steffey on mndolin, Rob Ickes on dobro, and Barry Bales on bass, with Steve Gulley and Tim Stafford providing harmony vocals. Kim’s voice is gruff but tuneful, and while he cannot compare vocally to most of those who have taken his songs to chart success, he does have a warmth and sincerity which really does add something to the songs he has picked on this album. Kim includes three of the songs he has written for and with Garth Brooks, all from the first few years of the latter’s career. ‘Ain’t Going Down (Til The Sun Comes Up’), a #1 for Garth in 1993, provides a lively opening to the album, although it is one of the less successful tracks, lacking the original’s hyperactivity while not being a compelling or very melodic song in its own right. ‘Papa Loved Mama’ is taken at a slightly brisker pace than the hit version, and is less melodramatic as a result – neither better nor worse, but refreshingly different. ‘New Way To Fly’, which was recorded by Garth on No Fences, also feels more down to earth and less intense than the original, again with a very pleasing effect. The other artist whose repertoire is represented more than once here is Joe Diffie. The lively western swing of ‘If The Devil Danced In Empty Pockets’ (written with Ken Spooner) with its newly topical theme of being well and truly broke is fun. Although ‘Goodnight Sweetheart’ (from the 1992 album Regular Joe) was never released as a single, this tender ballad about separation from a loved one has always been one of my favorite Joe Diffie recordings. Kim’s low-key, intimate version wisely avoids competing vocally, but succeeds in its own way. One of my favorite hit singles this decade was ‘Three Wooden Crosses’, a #1 hit for Randy Travis in 2002, which Kim wrote with Doug Johnson. A movie based on the story is apparently in development. I still love Randy’s version, but while Kim is far from the vocalist Randy is, this recording stands up on its own terms, with an emotional honesty in Kim’s delivery which brings new life to the story.